There's definitely a nip in the air now, which makes it more important to keep our ears and souls warm with great music. We don't have to look far to find it this week-- veterans and young guns alike take the stages of area bars, clubs and concert venues, with a smattering of outstanding visitors throughout the week. Friday, October 14. 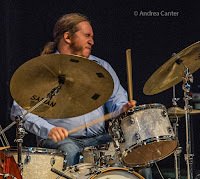 At Jazz Central, drummer Alex Burgess (Group 47) leads his organ quartet, featuring fellow River Falls-connected musicians, Thomas Strommen on sax, Dylan Nelson on guitar, and Eric Graham on keys. 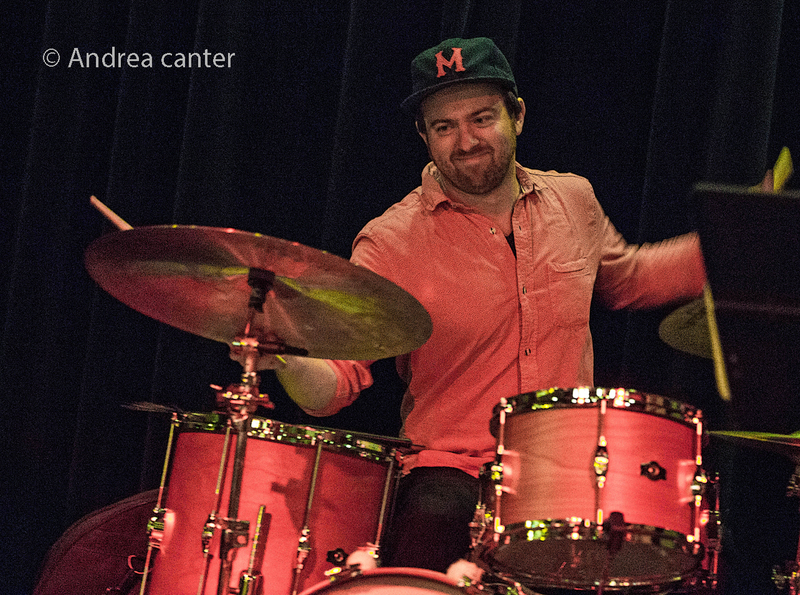 Recent McNally Smith graduate, drummer Dan May follows for a late set with his trio. 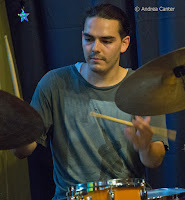 Meanwhile, vocalist Katia Cardenas returns to the Public Kitchen, and the Steve Kenny Quartet (with Javi Santiago, Ted Olsen and Miguel Hurtado) settles in at the Underground Music Cafe. Saturday, October 15. 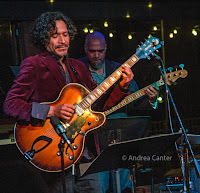 In the midst of the St Paul Art Crawl, the Black Dog hosts a new ensemble dubbed the Jazz Bridge Project, with Eric Gravatt on drums, Javi Santiago on keys, Ron Evaniuk on bass, Raijah Johnson on flute, and Roger Johnson on guitar. 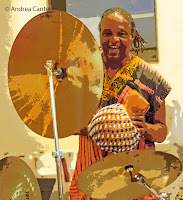 They're followed by the esteemed Babatunde Lea Quartet with Phil Aaron on piano and Solomon Parham on trumpet, and very likely someone on bass --with percussion of course under the spell of Babatunde. 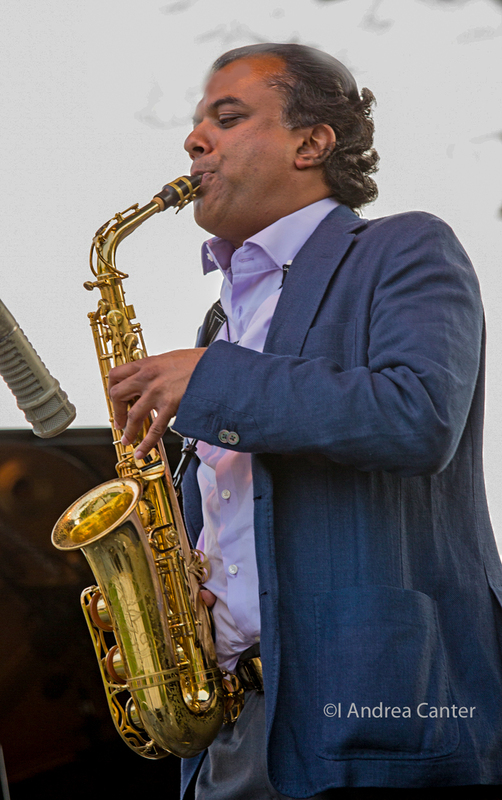 The Walker Art Center presents Iraqi-American trumpeter Amir El Saffar and his 17-piece pan Arabic band, including American heavyweights guitarist Miles Okazaki and drummer Nasheet Waits. At the Saint Paul Hotel's Lobby Bar, Chris Lomheim ably subs for JoAnn Funk with Jeff Brueske, while Moore by Four vocalist Yolande Bruce takes over the lounge at Crooners. And at Public Kitchen, Headspace fills the music space with Rob Dewey on keys, Matt Senjem on bass and special guest, Morris Engel on drums. Sunday, October 16. Firebell burns tonight at the Aster Cafe--that's Park Evans, Graydon Peterson and Jay Epstein playing mostly original music in the warm setting on the river at Anthony Main. You can relive the Joni Mitchell songbook at Ordway with vocalists Judi Vinar Lori Dokken, Jacy Smith and Rachel Holder Hennig, supported by an all-star jazz ensemble of Pete Hennig on drums, Jeff Bailey on bass and Dan Caton on guitar. The show will feature iconic Joni songs including "Big Yellow Taxi,” “Both Sides Now,” “A Case of You,” “The Circle Game” and more. 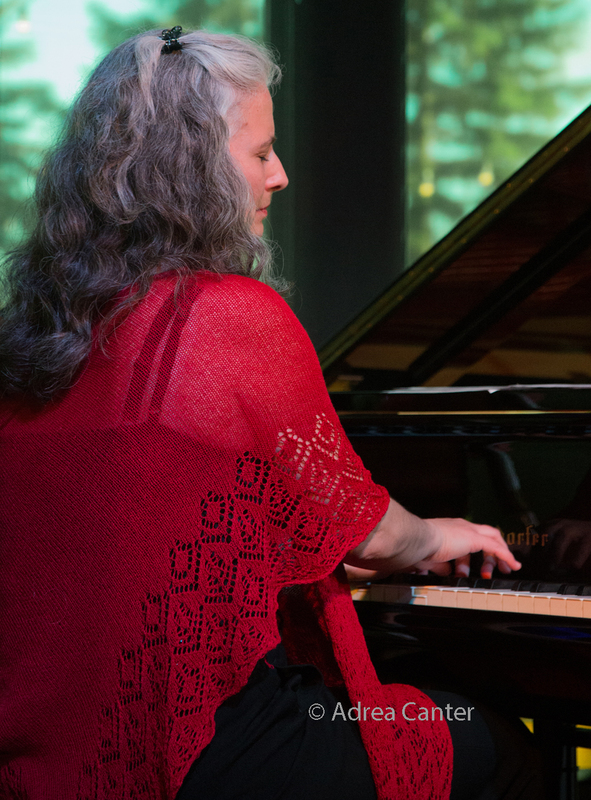 Marking the close of the St Paul Art Crawl, pianist Laura Caviani performs along with the classical Lux Quartet at the Lowertown Lofts Artists Cooperative, a perfect setting to end a weekend of open studios, galleries, concerts and more. A unique ensemble at the Dakota, the Huntertones are a young Brooklyn-based outfit with elements of jazz, Afrobeat, and funk, at times featuring sousaphone and Beat Box. Monday, October 17. 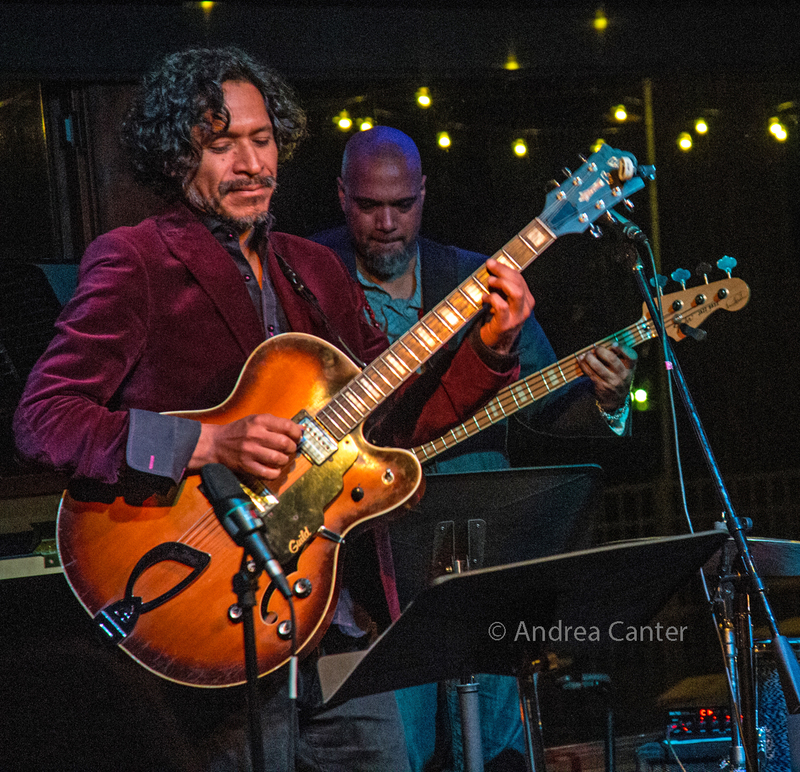 Peruvian guitarist and former area resident Andres Prado joins up with the band Mississippi to celebrate the release of their first recording at the Dakota. Prado brings traditional Peruvian music to postbop jazz, with his original compositions in tandem with works from his collaborators --Pete Whitman, Kevin Washington, Jeff Bailey and Peter Schimke. 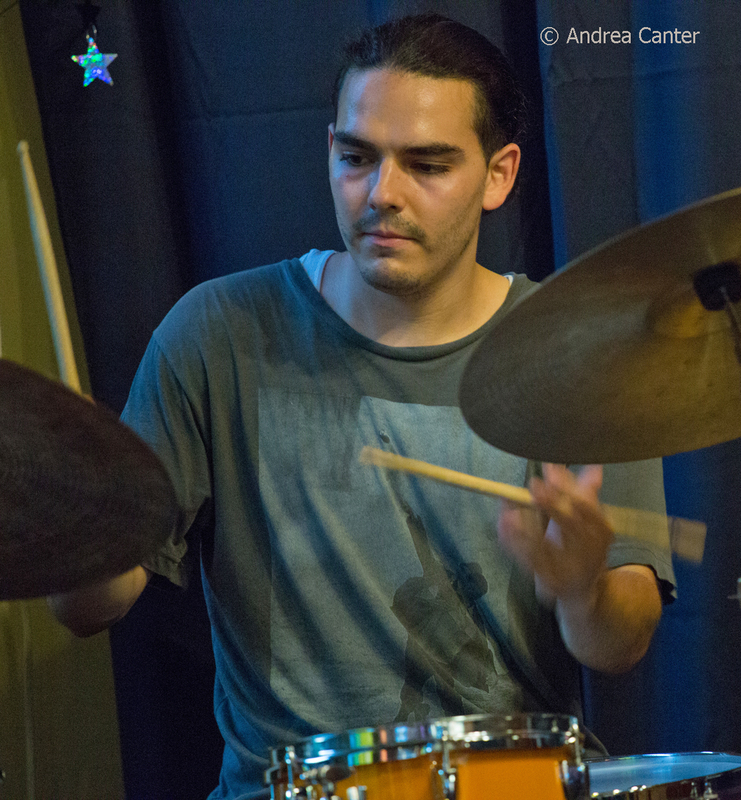 The Jazz Central spotlight night features drummer Miguel Hurtado, a veteran of more than ten years on the local jazz scene despite his relative youth-- he's been gigging around town since his teens, and typically is in the company of fellow young lions like Javi Santiago and Ted Olsen. At the Icehouse, JT's Jazz Implosion features Mancrush -- that's Lars Erik-Larson with Zacc Harris, Brandon Wozniak and Bryan Nichols with guest Aby Wolf-- so it is really Wolfcrush. 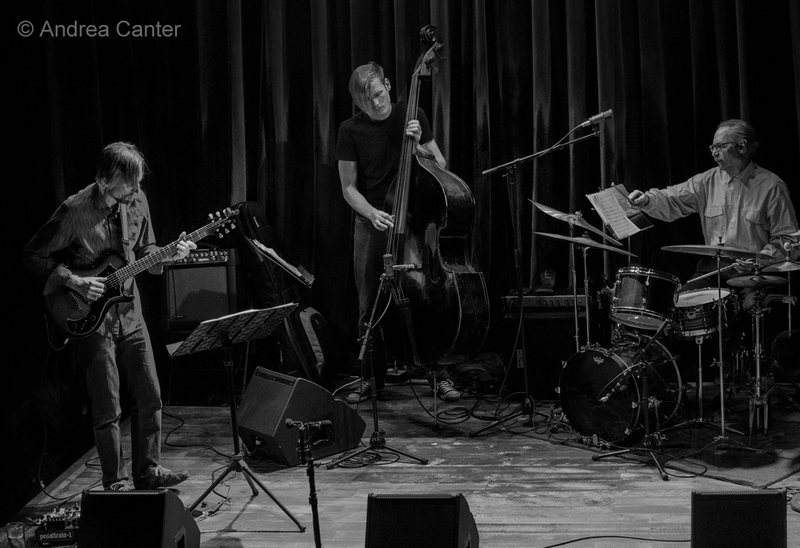 The second set features the Chicago trio, Hanging Hearts. Tuesday, October 18. 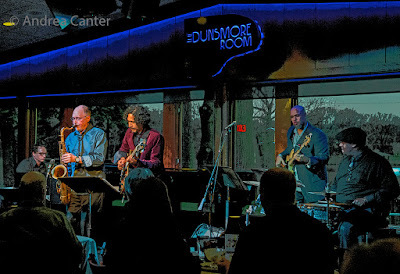 The Dunsmore Room presents the young magicians of the Basement Society, led by drummer Pete James Johnson with bassist Dan Carpel and pianist Javi Santiago testing out the new Steinway. 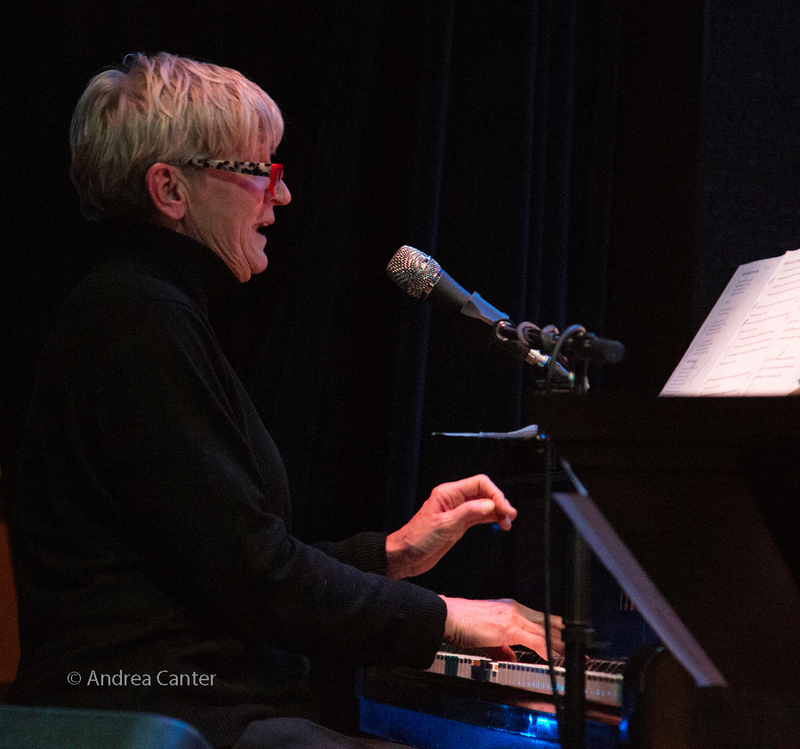 At Vieux Carre', Mary Louise Knutson offers some elegant solo piano, followed by the swing of Connie Evingson and her hotclub ensemble. And the Dakota features Cuban piano hero Harold Lopez Nussa, touring with his brother on drums and Senagalese vocalist/bassist Alune Wade. 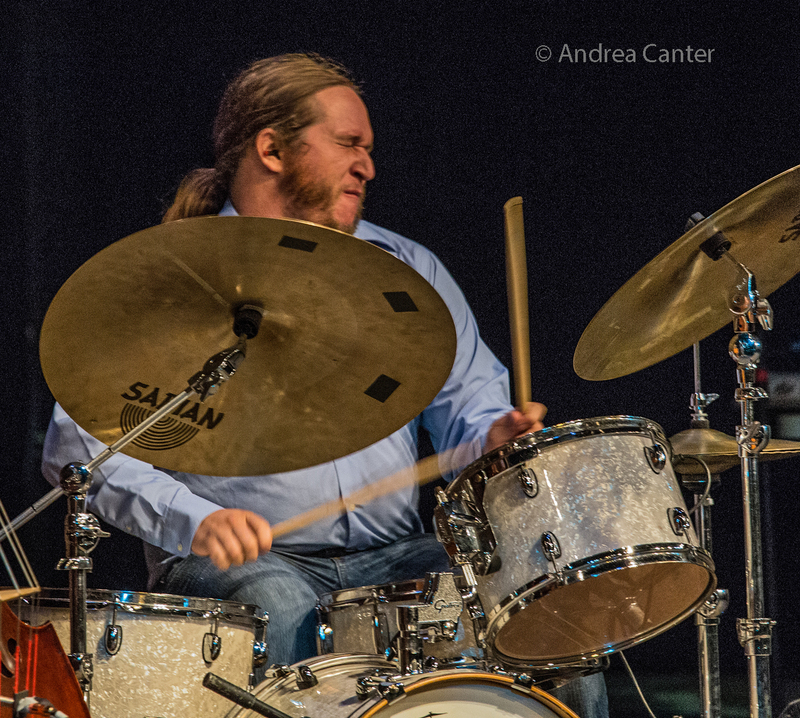 Big Band Night at Jazz Central features the Explosion Big Band, led by Doug Haining and Scott Agster. Wednesday, October 19. New York-born vocalist Rhonda Laurie takes the prime-time slot at Vieux Carre', following a substantial warm-up from singer Sophia Shorai. Back in the Dunsmore Room, Minnesota Orchestra trumpeter and jazz bandleader Charles Lazarus pairs up with pianist Mary Jo Gothmann for a program of classical and jazz. Thursday, October 20. 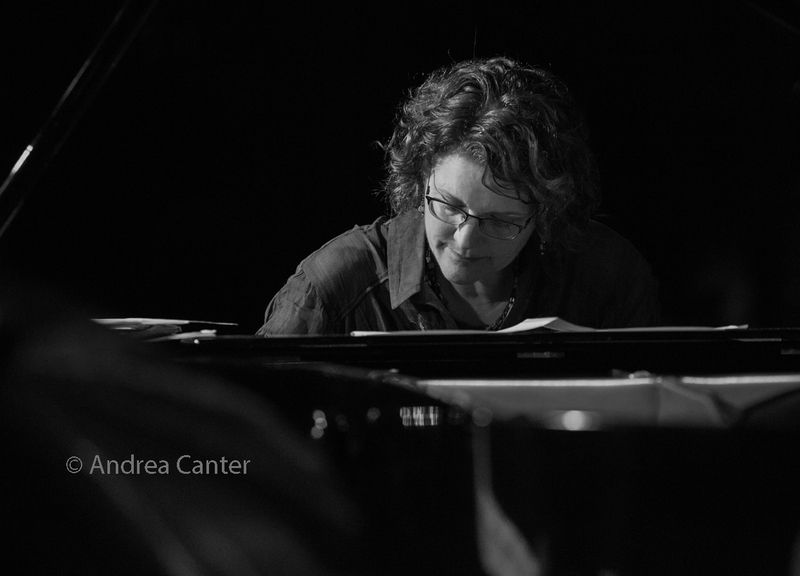 Rhonda Laurie moves across the river for Vocal Night at Jazz Central, while Khyber Pass presents the Six Families Music Collective. 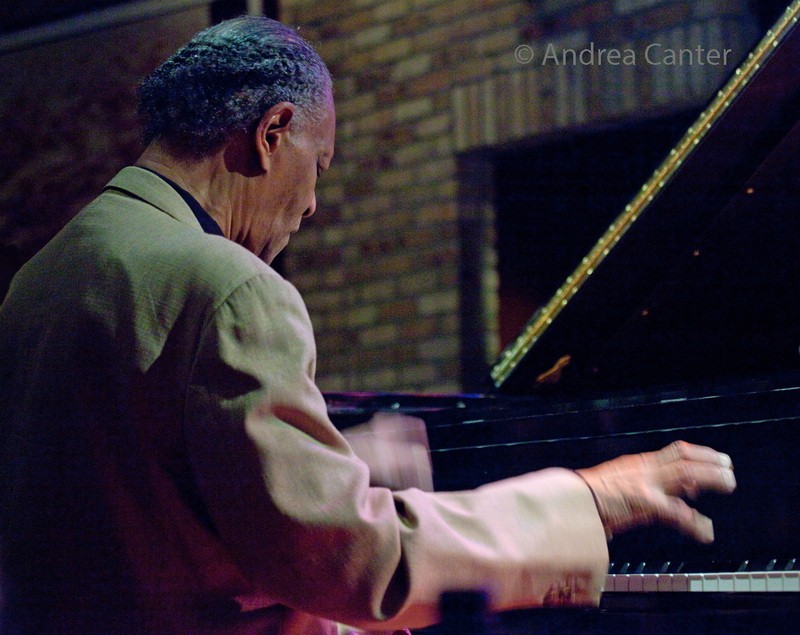 At the Dakota, it's the first of two starry nights with living piano legend McCoy Tyner and his quartet featuring saxophonist Gary Bartz, bassist Gerald Cannon and drummer Francisco Mela, who happens to be the Artistic Director for the Twin Cities Jazz Festival. See the the Live jazz calendar posted on the KBEM website, and see more about jazz events at jazzpolice.com --online and on facebook. Tune into the radio edition of The Lead Sheet every Thursday at 4:40 pm (rebroadcast on Fridays at 8:20 am). 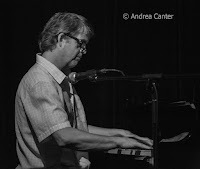 Andrea's guest next week will be pianist/composer Jeremy Walker to talk about the new season of Jazz in the Target Atrium, launching on Friday, October 21.